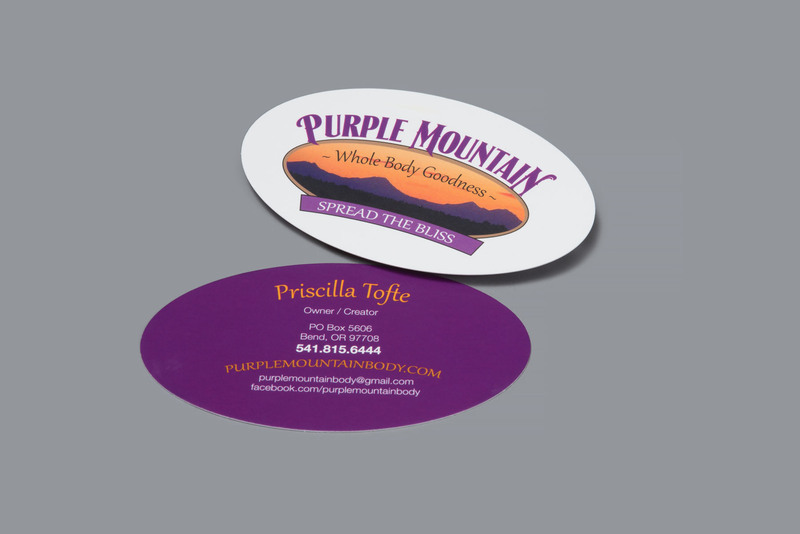 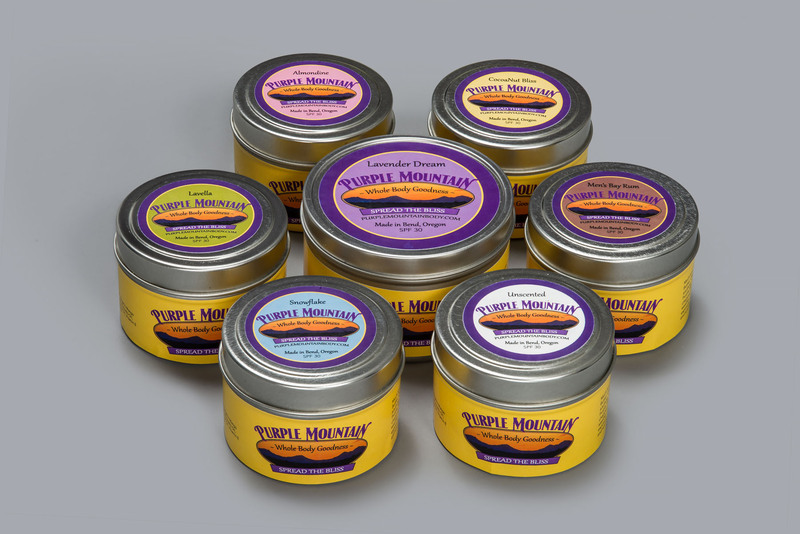 Purple Mountain is a homegrown company in Bend, Oregon creating environmentally friendly body products ranging from body butters, body scrubs and bath salts. 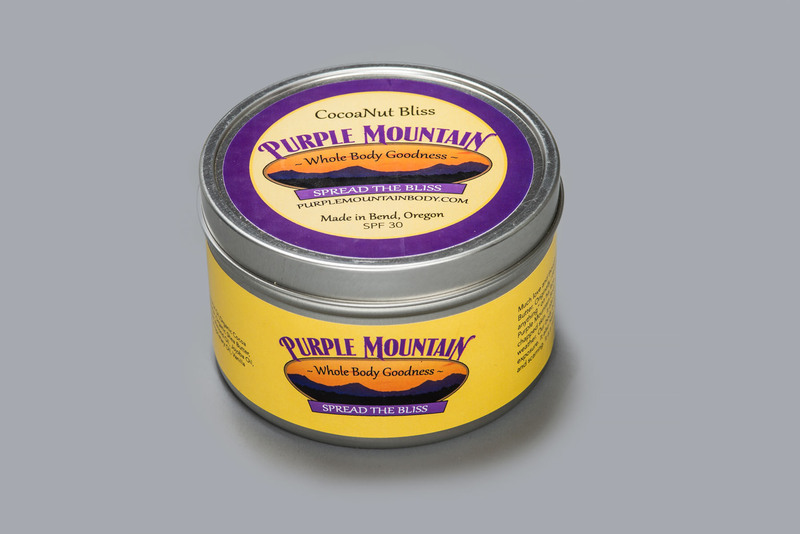 Their mission is to bring forth products worth believing in. 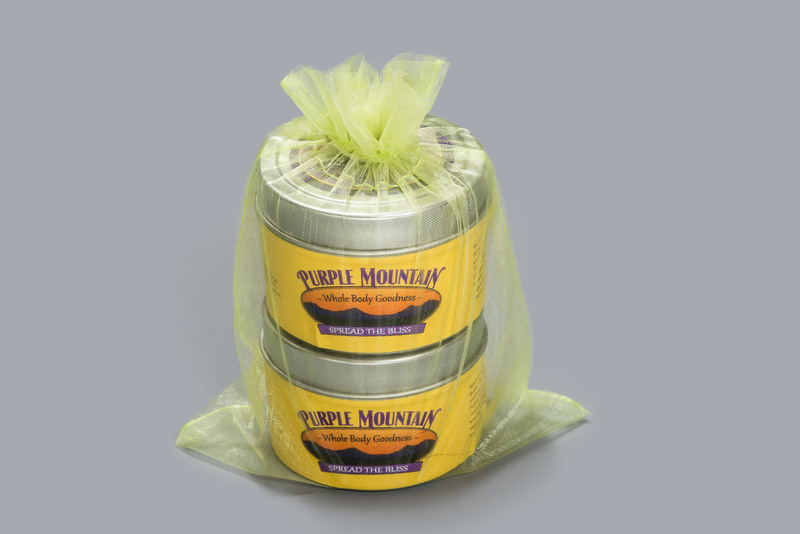 As the owner made the products and friends tested them, demand started to pick up. 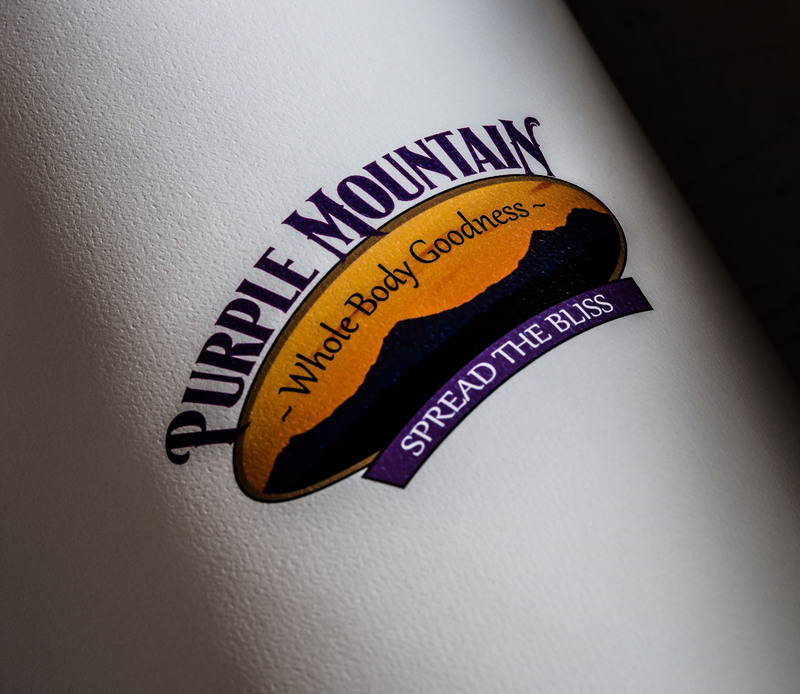 The company was asked to place their products in boutiques around the state and they realized they needed a brand to represent their products along with product package design, labels and printing.